LG V40 ThinQ₹ 49,990 is now available for orders in India. The e-retailer Amazon.in has started accepting orders for the new LG phone and will begin the shipping on January 24. 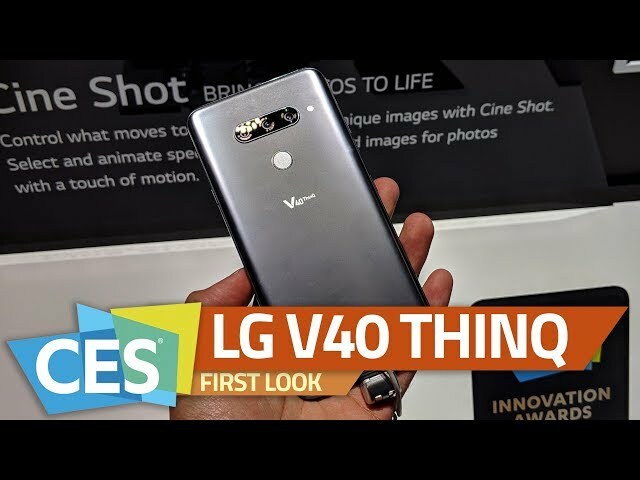 The LG V40 ThinQ was originally introduced by the South Korean company back in October last year. The USP of the new smartphone is the presence of five cameras – three at the back and two at the front. The V40 ThinQ also includes a Snapdragon 845 SoC and a 19.5:9 OLED display with a notch design. The phone sports a military-grade build with MIL-STD-810 certification and is IP68-certified water and dust resistant. LG has also packed its proprietary Boombox speaker along with a 32-bit Hi-Fi Quad-DAC audio and DTS:X 3D surround sound experience. Leveraging early access to the Great Indian Sale, Amazon Prime customers can order the LG V40 ThinQtoday and avail a 10 percent instant discount using an HDFC Bank card. Also, there are no-cost EMI options available on Bajaj Finserv EMI cards as well as other major credit and debit cards. There is an additional Rs. 1,000 Amazon Pay cashback offer for the Prime members. The non-Prime customers will be able to buy the phone beginning tomorrow i.e. January 20 when Amazon opens the Great Indian Sale for all.